This appears to be the season of screening of superhit films of the past in theatres. Thuppakki, Vedhalam, Kaththi and a few other films had such re-releases and Dhanush’s Pudhupettai has also joined this list. To commemorate the tenth anniversary of this Selvaraghavan-Dhanush’s cult classic, GK Cinemas in Porur, Chennai, had screened two shows today, the 27th November (8 and 11 am). We spoke to MD Ruben to find out about the same. 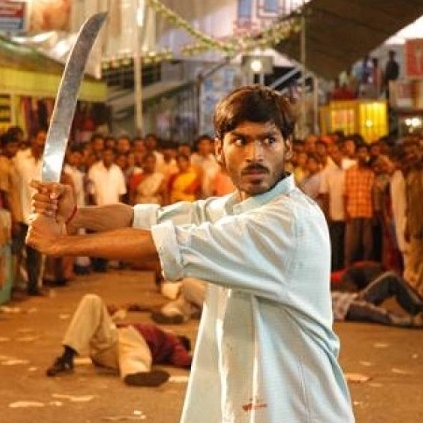 He said, “I have never seen Pudhupettai in theatres and a random idea came to me to screen the film in our theatre. It was such a coincidence that this is the 10th anniversary of the film. Fans were also very keen. We planned it as a small event but it became a big one. Initially, we planned for one show, but due to ticket pressure, we added one more show. The response was tremendous. It was like FDFS with chenda melam, paalabishegam and was more like a festival release. It never felt like a film that was released a decade ago”. Are there plans to screen such hits? Ruben explains, “We are planning to screen cult classics that have been missed out. Aaranya Kandam is on our list. We have talked to the producer, if he gives the nod, we will start the promos”. That is really a nice thing to look forward to! One more film joins the December race! Amma Kanakku director makes a sweet announcement! What Is The Much Awaited Announcement That Dhanush Will Be Making Soon? Is Manjima Mohan In Dhanush's NEEK? People looking for online information on Dhanush, GK Cinemas, Porur, Pudhupettai, Ruben will find this news story useful.